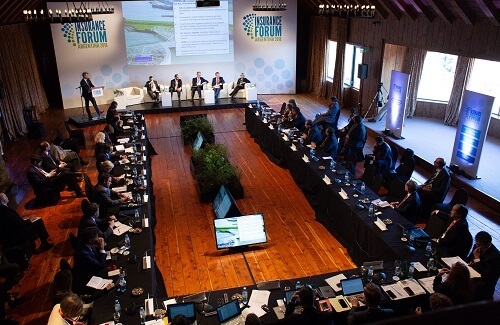 They’re there when you are involved in a collision, or when your house gets damaged by floods… but insurers, as the ongoing G20 Insurance Forum (pictured, by SSN) in Argentina is pointing out, are playing an even bigger role. “Insurance is capable of being a leading player in the development of the economy, and it is our challenge to generate the conditions to provide long-term investment alternatives in infrastructure to create resilient economies and contribute to the development of our countries in an inclusive manner,” said Juan Pazo, superintendent at Argentina’s National Superintendence of Insurance (Superintendencia de Seguros de la Nación or SSN). Happening for two days until September 26 in Bariloche, the Insurance Forum 2018 is organised by SSN and is considered a milestone as it is the first time that the insurance industry has joined the discussion agenda of the G20. Aside from the subject of promoting long-term and sustainable investment in infrastructure, topics include insurers’ role in food security and agriculture, as well as in boosting resilience and stability in society; how insurers are responding to cyber risks and digitalisation; and the part played by international reinsurers in an increasingly globalised economy.